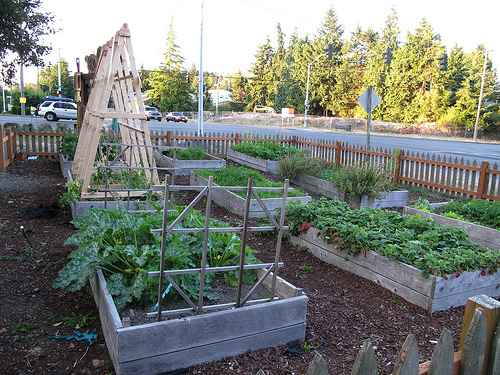 The community garden at the corner of Center Avenue and Tyler Street has the most unusual art of any of the local community gardens. 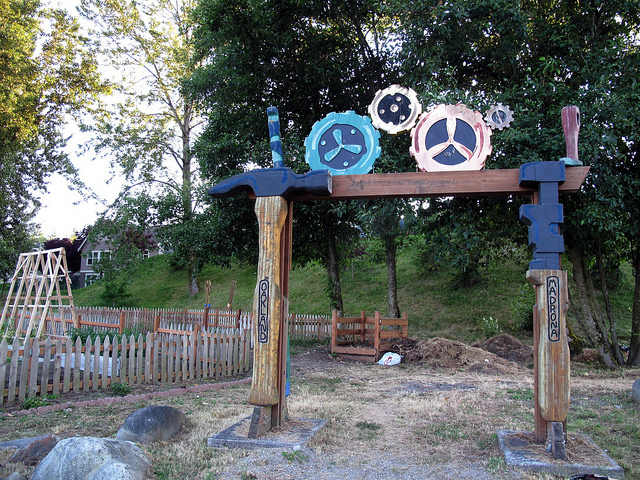 The entry arch is appropriately titled “Working”and features a hammer, chisel and gears. A near by bench has pliers and a saw. The art is by Otto Youngers. 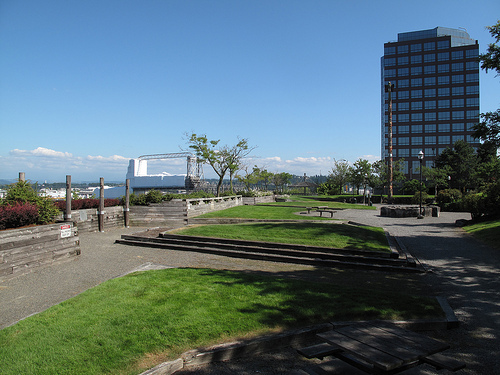 The garden itself, known as Tyler Square Park, is only half occupied, but that half is full of healthy looking vegetables. 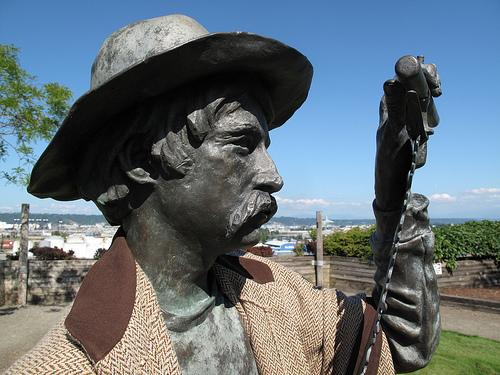 This entry was posted in Art -- there is art here!, Farms and Gardens, Tacoma, WA State - Pierce County and tagged art, Community Garden, Madronna, Oakland, Otto Youngers, Park, Tacoma, tools, Tyler Square, WA on July 31, 2011 by admin. Usually I use the FourSquare app on my phone to record that I have been to a place, but once in a while I use an alternative app called Gowalla. I was amused to see that somebody had gone through Wright Park and made many of the individual trees separate destinations! I’m sure I won’t get around to all of them, but today’s new place is one of the Red Oak Trees in Wright Park. How do I know its a Red Oak? The parks folks thoughtfully labelled it! 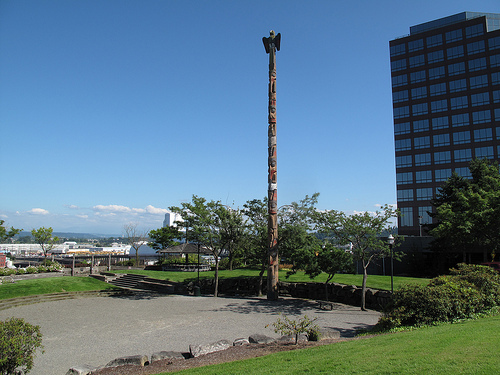 This entry was posted in Parks, Tacoma, WA State - Pierce County and tagged Red Oak, Tacoma, tree, Wright Park on July 30, 2011 by admin. 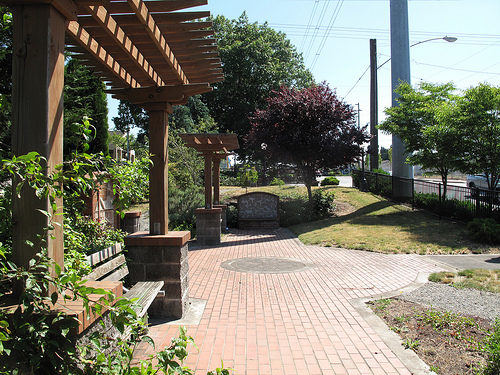 The pocket park at the northwest corner of South 84th Street and Yakima Avenue in the Fern Hill District is charming. 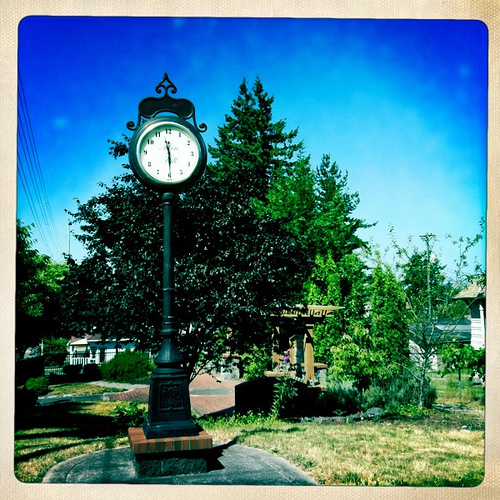 It has a couple of benches, a clock, a street light, thoughtful landscaping and some art. 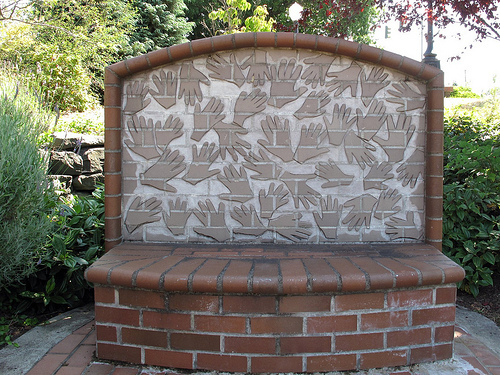 The hand bench is just plain fun and there is also a relief of the original Fern Hill School as seen in 1888. Most interesting is a historic marker that says S. 84th Street is an old covered wagon trail and was legally established as a road in 1852 to create an escape route in case of an Indian uprising. 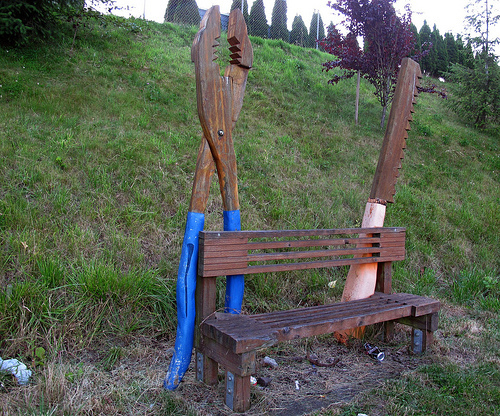 This entry was posted in Art -- there is art here!, Parks, Tacoma, WA State - Pierce County and tagged Bench 84th Street, escape route, Fern Hill, Park, Tacoma on July 28, 2011 by admin. 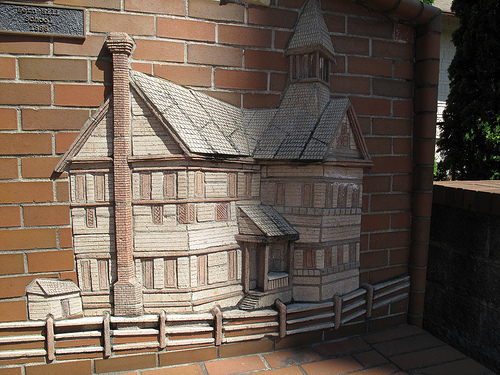 The Prairie House Museum at 812 E. 176th Street in Spanaway was today’s new place, so it saddened me that it wasn’t open. 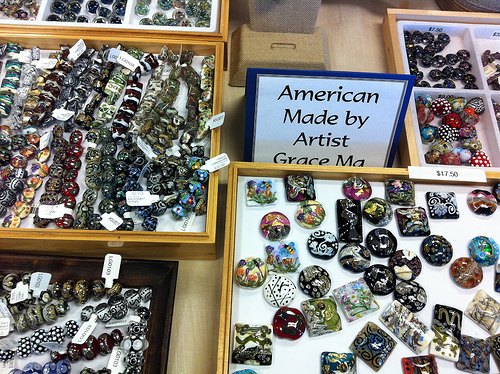 Their webpage said they are open on Wednesdays from 10 to 2 and every third Sunday of the month from 2 – 4. But the gate was locked, so I called them on the phone and a recording said they were usually open on Wednesdays from 10-2, but one should always call first. Good to know. I snapped a few photos through their really tall fence. 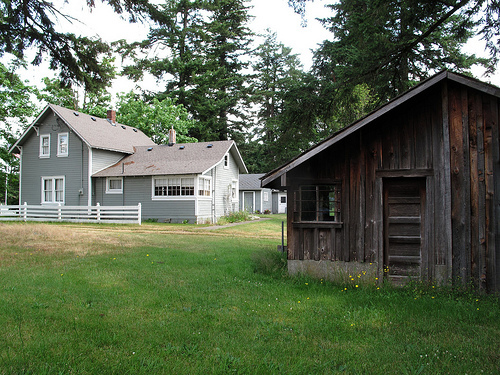 The museum is a restored farmhouse from the 1890s, as well as some farm outbuildings and a log cabin. 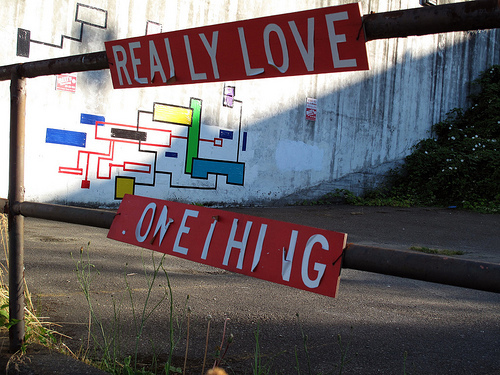 While turning around, we discovered this delightful sign! 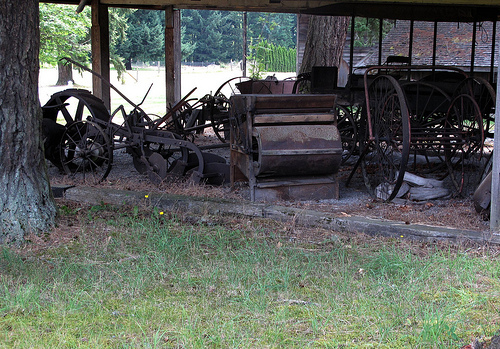 This entry was posted in Historic Sites, Museums, Spanaway, WA State - Pierce County and tagged closed, dinosaur, farm equipment, historic, Prairie Home Museum, sign, Spanaway on July 27, 2011 by admin. 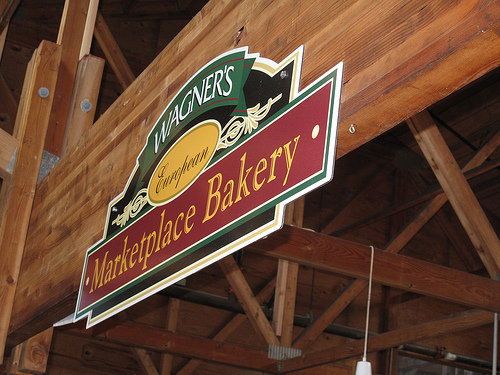 It is a rare photo of Wagner’s at the Olympia Farmer’s Market without any customers. 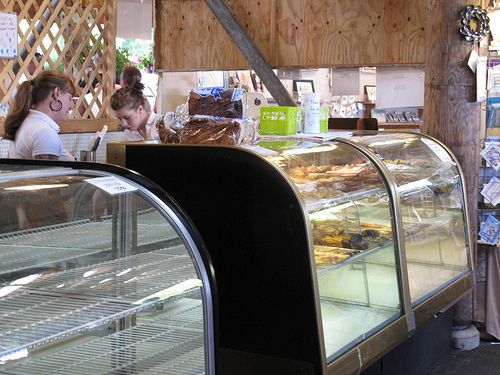 Usually there is a crowd of folks picking out their favorite treat. 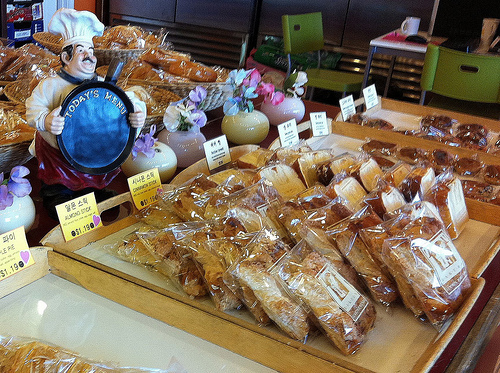 Service is always friendly and fast and the bakery items are amazingly good! 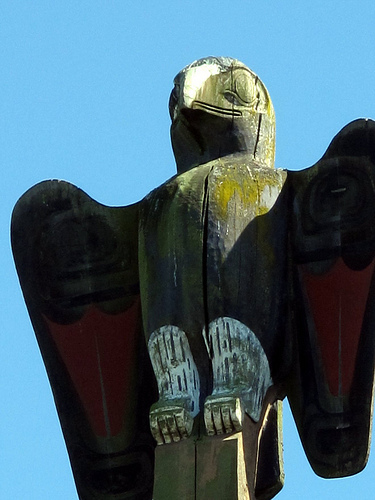 This entry was posted in Coffee Shops, cafes and bistros, Olympia, Restaurants, WA State - Thurston County and tagged bakery, farmer's market, Olympia, Wagner's on July 24, 2011 by admin. 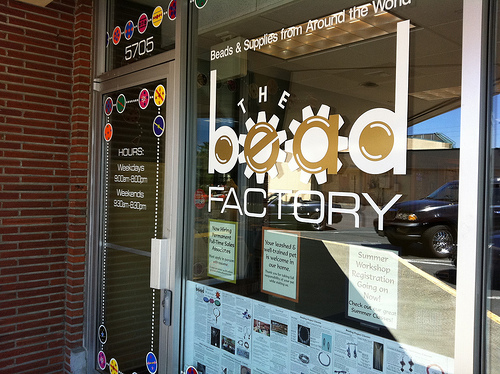 When I saw that the Bead Factory on Sixth Avenue had closed, I thought I had lost my chance to visit. 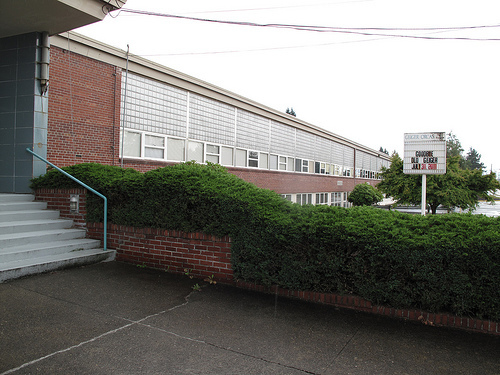 But they had just moved to 5705 N 26th Street, Tacoma, WA 98407. I actually just went in for some of those little plastic things that goes in the back of pierced earrings so they don’t fall off (what are those things called?!). 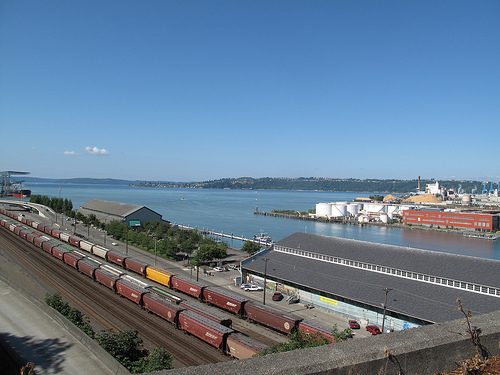 This entry was posted in Art -- there is art here!, Stores and other places that sell you things, Tacoma, Unique Shopping (stores with some personality), WA State - Pierce County and tagged Bead Factory, beads, club, creativity, mail order, party, Tacoma on July 23, 2011 by admin.